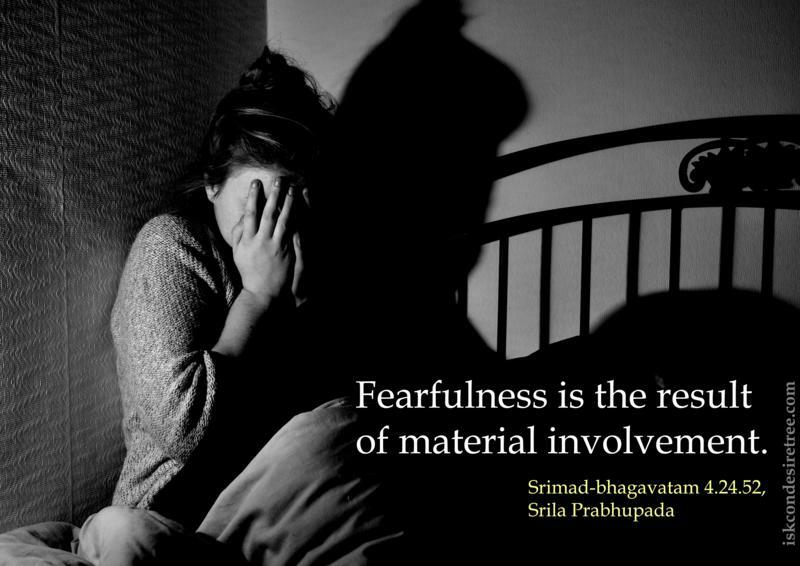 Fearfulness is the result of material involvement. 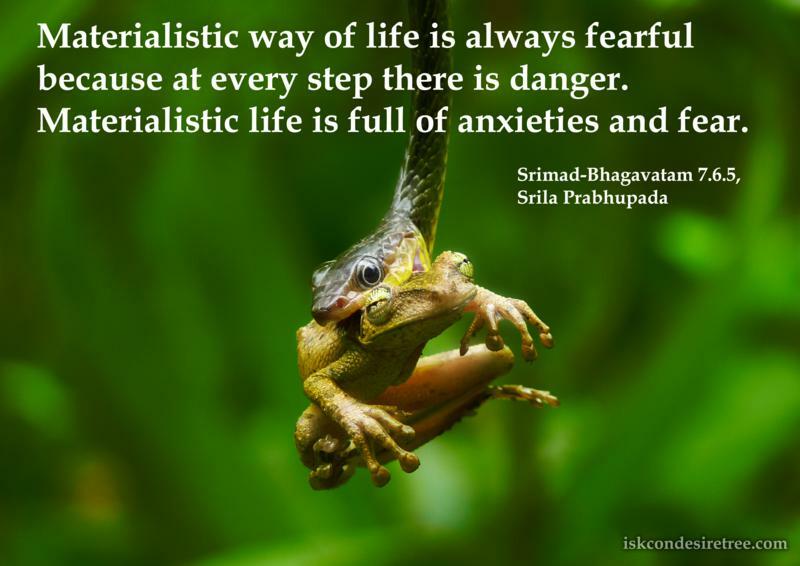 Fear arises when a living entity misidentifies himself as the material body because of absorption in the external, illusory energy of the Lord. When the living entity thus turns away from the Supreme Lord, he also forgets his own constitutional position as a servant of the Lord. This bewildering, fearful condition is affected by the potency for illusion, called maya.